So, if you're not a full-time professional musician, what do you do when you're not practicing your violin/fiddle? These are just general categories. You can select up to five, in case your profession doesn't fit neatly into one category. I am the Housing Coordinator for our local Women's Shelter. Nice topic, Scratch. I'm a nanny to make the money, but I get to bring my 1.5 year old son with me so I'm also doing the mom thing. And I'm an aspiring freelance lettering artist/illustrator on the side. I do a lot of random crap, all of it creative, artsy type stuff. I'm one of those people who wants to do everything; it's kind of a problem, ha. S'why I took up violin. @KindaScratchy: Great thread, Diane, I like the poll idea also. Was the other for sailor? I just voted. Currently no longer unemployed. I work for camping world selling r.v.'s. I am also taking a full load of college classes in computer programming, database administration. Busy busy. 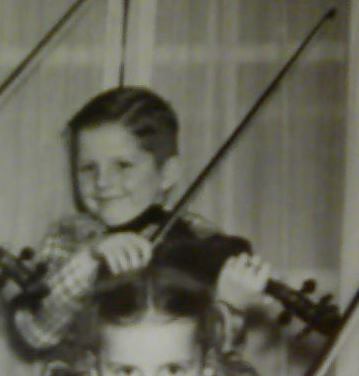 Fiddling is now a part time hobby. Interesting thread Diane - and thanks for the poll - it's a cool feature. I'm a market analyst (a lot of number crunching) - probably as far a job from "creative" as I can get; I think that's why I'm so enamored with playing the violin! I'm so glad you all like this thread and poll. I just did it on a whim. I think I got carried away with so many categories and yet missed a few big ones like sales/marketing, non-profits, military, law, police/fire/EMT. Guess it was too late at night when I set it up. If you're in those arenas, sorry to have left you out. I actually didn't expect folks to respond individually; just anonymously in the poll, but it's great that you're willing to share! So, I should, too. I'm a public affairs officer (communications) for a federal government agency. I made a career change 10 years ago after 19 years in a similar position with state government. I shovel, to be polite, manure for a living now. I spent most of my life in the automotive industry as a mechanic and running a parts rebuilding company then when I moved to PA I worked for Corning in the Photonics industry until I retired and now I spend my time with the animals. 6 horses, 2 donkeys, 10 goats, 10 geese, 1 turkey, 6 ducks, 200 chickens, 5 rabbits, 5 dogs and 8 cats. Software support for a global company. Pretty much sit in my cube and dial into computers and try and fix them. I'm a tech. support engineer (related to the communications) DSLAMs, switches... etc. Not so interesting. LOL! great idea! it's neat to learn more about so many of you! taking up the largest chunk of my time would be looking after my family at home and all that goes along with that. -and i'd have to say that's the job that gives me the most satisfaction and I feel has the potential to leave the most important and lasting legacy! during the school year I also do some subbing on a casual basis for the public school system. the job varies depending on what's needed. I do a lot of library work, one-on-one student support and occasionally get to give out detentions to high school students! 2-3 mornings a week I do community work as a parenting mentor for moms including high school aged moms who are learning to be parents while also working towards completing their secondary education. in the summer & fall I also keep quite busy turning as much fresh local produce as I can get my hands on into delicious preserved creations. 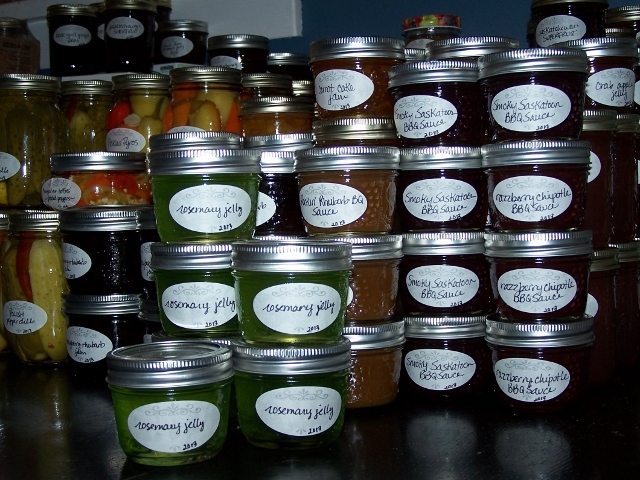 this past weeks' concoctions have included 2 types of pickled beets, 2 kinds of dills, 2 of pickled hot peppers, corn and pepper relish, hot pepper jelly, grape jam & grape juice! ....40 items on the 'completed' list now, and still counting. I sell it locally throughout the rest of the year. working on coming up with a recipe for 'fiddle jam'!! -any suggestions?? Cool. Fiddlehead ferns are popular up here, pickled even. ........40 items on the 'completed' list now, and still counting. I sell it locally throughout the rest of the year. working on coming up with a recipe for 'fiddle jam'!! -any suggestions?? That sounds more like Turkey Jam. Well, I know that when I was eating sweet stuff, I had eaten Rosemary cakes and cookies and always loved them. @Fiddlerman ....yup, got it!! ....fantastic with lamb or venison. but thinking it it would be outstanding on a nice cracker w/goat cheese & carpaccio too! is that something like what you had in mind?? the 'PAUL ONION' Jam is very good with meat too. ....made with really, really BIG onions!